Hello! 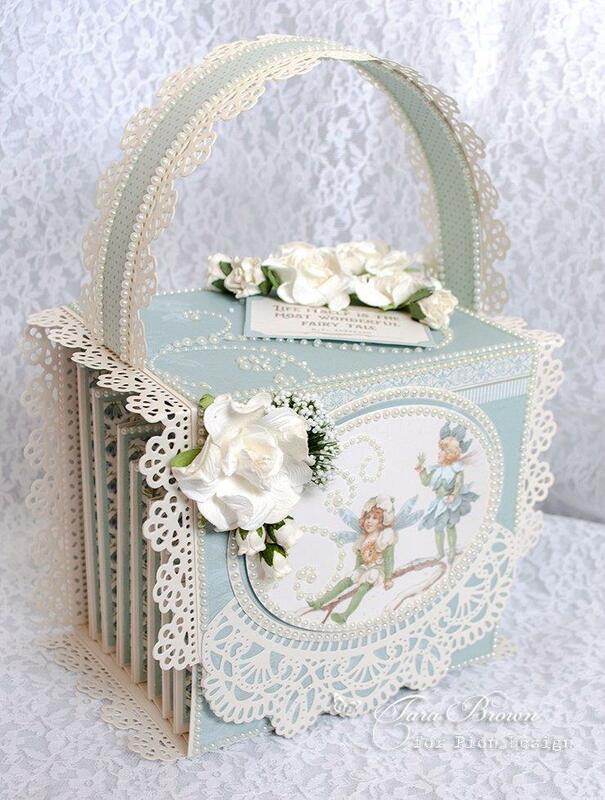 This file box was made using the soft blue papers from Four Seasons of Fairies. The blue color is such a gentle and beautiful shade. I made this file box with pockets and index cards and placed small hidden magnets on the underside of the papers to hold the front flap in place. Best wishes for a great day! Absolut stunning work as everything else you do Tara. 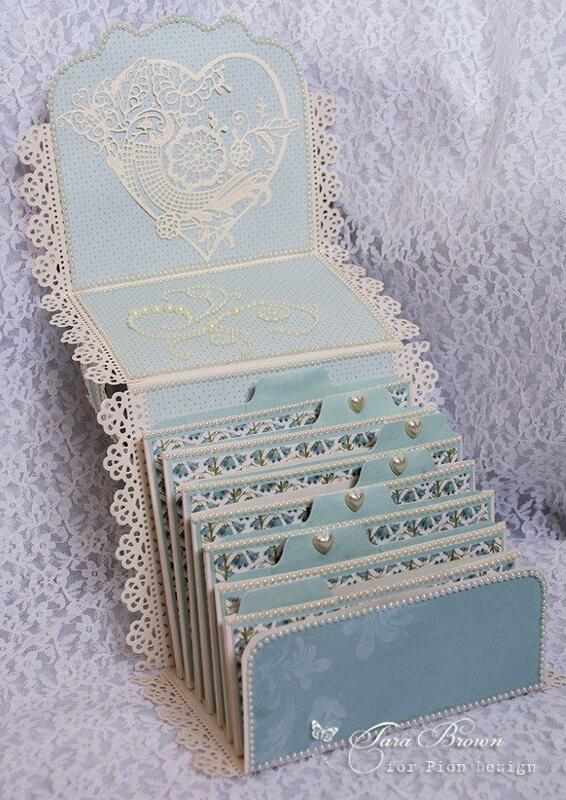 I LOVE the color too and also this project here is totally amazing, and it just gave me a whole new idea too, that I hope, I´ll find time to try of sometime soon. I wish I could see your head inside with all your amazing ideas too ha ha ha.